Capture picture and video on 360 degrees! Three optics, three sensors, and just one video of photo file gets out. That`s the whole magic of the GIROPTIC patented and world premiere instant image fusion technology embedded in the 360 Cam. 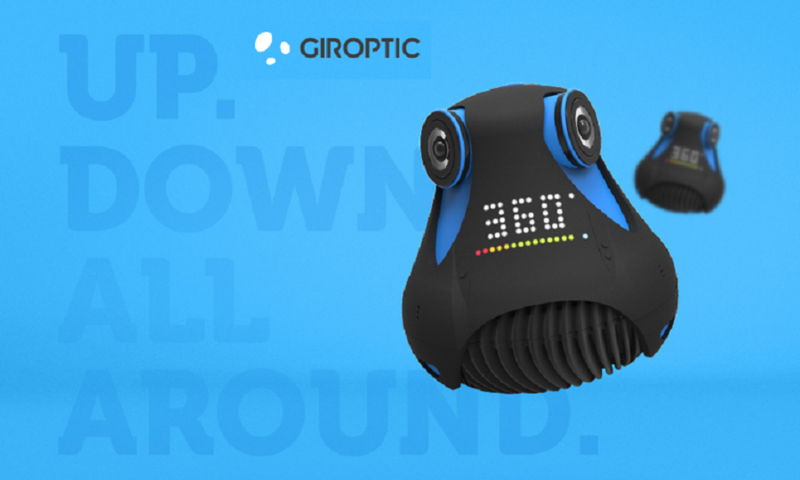 In a press of a button you`ll get to capture incredible 360 equirectangular video footages at a resolution of 2K (2048 x 1024) at up to 30 frames per seconds, and stunning 4K pictures (4096 x 2048).The GIROPTIC 360cam has been designed with quality and simplicity in mind. Inspired by high-end DLSR, the camera brings together the lightness and durability from magnesium alloy and the soft touch and choc resistance of rubber to create a beautiful, yet highly technical, device.Want to know more about this awesome device? Follow this Link!